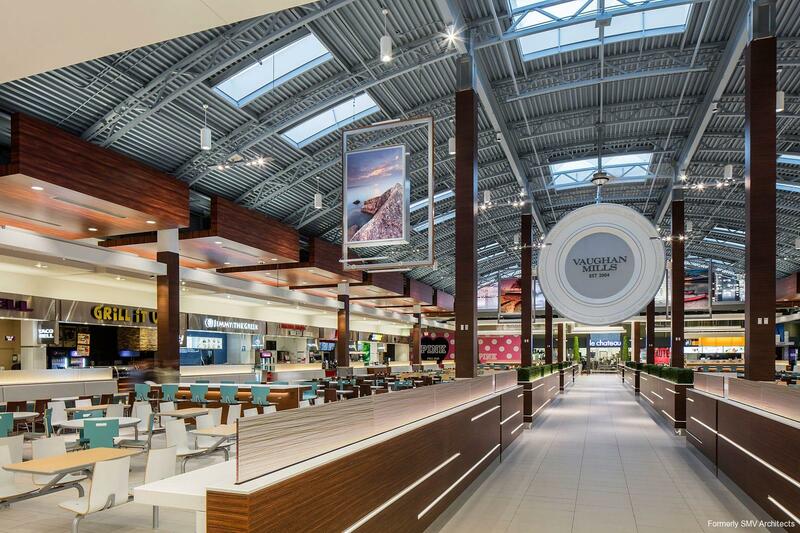 Traffic jams in this busy hub at the heart of the Vaughan Mills Shopping Centre were diminishing the customer experience. 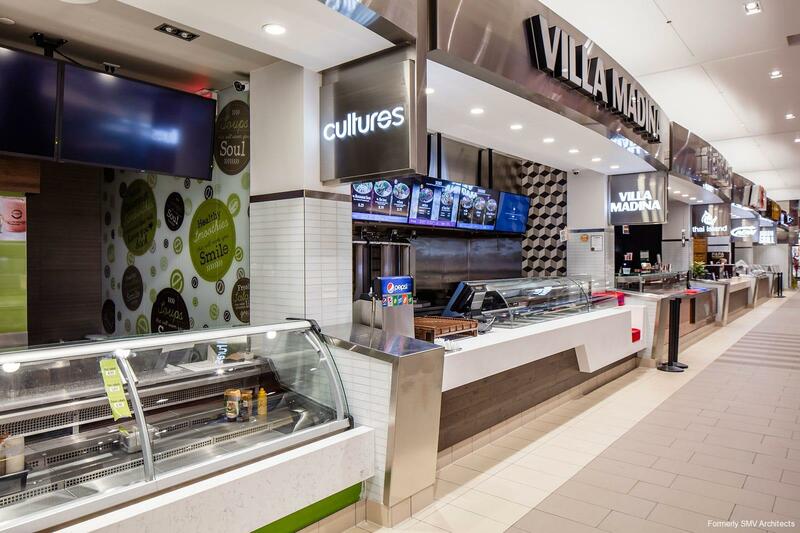 Shoppers passing through the food court to get between the north and south public corridors interrupted the food service queues, creating an awkward experience for both diners and shoppers. Ivanhoe Cambridge wanted to increase service capacity while minimizing customer disruption at the queuing aisles. 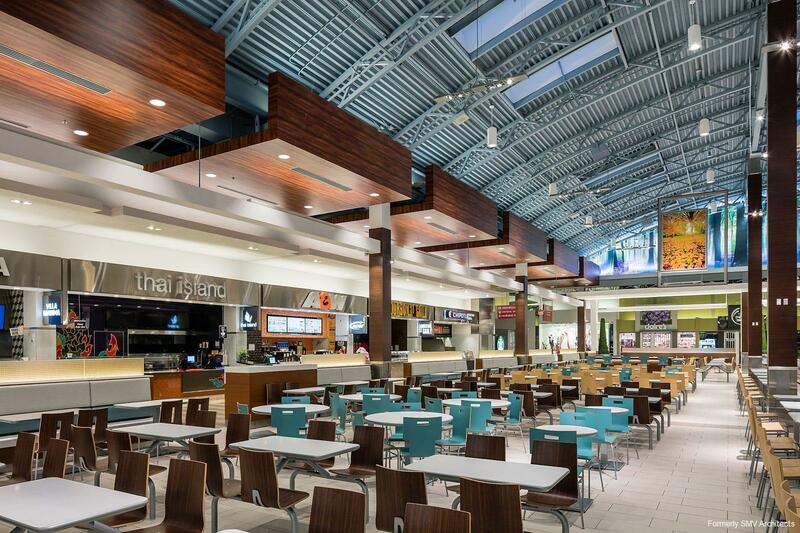 The design solution was to create a new pedestrian speed aisle down the centre of the food court. As architect of record, we worked closely with municipal officials and authorities to get approvals and implement our plan for construction phasing and zoning. 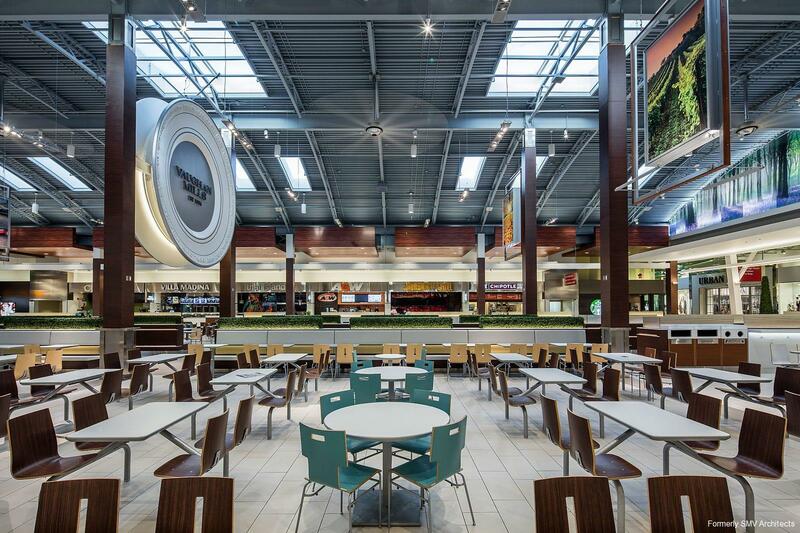 Existing food court tenants were not negatively impacted at any point throughout the renovation process and new dining options were introduced smoothly. The renovation work was completed within eight months of project start, within budget. No obstructions for busy shoppers and no disruption of the food queues improved the experience for both groups.